As Britain twists and turns in the agonies of Brexit politics, it may be salutary to look at other countries’ experience of similar torments. Canada had two referendums, in 1980 and 1995, on the future of the relationship between Quebec and the rest of Canada. 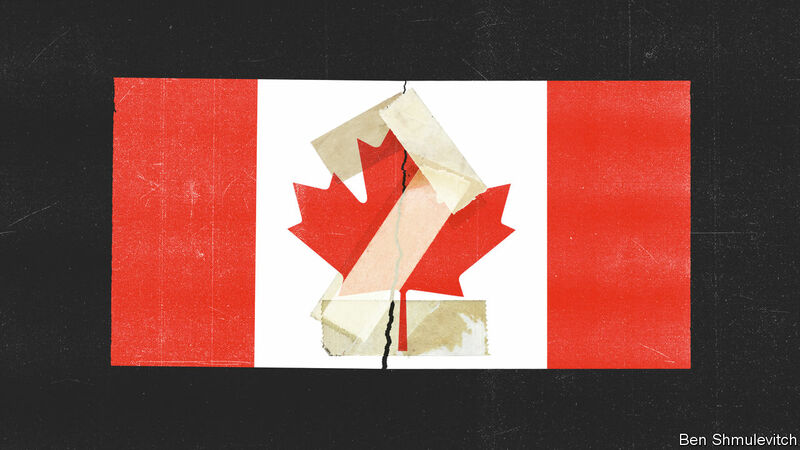 The one in 1980 ended in a clear victory for Canada, but the 1995 result was a near death experience. Quebeckers were asked whether Quebec should stay in Canada or become a sovereign state. The Canada side prevailed, but by a wafer-thin margin of 50.58%. So if a British person asks a Canadian (they rarely do) if referendums are a good thing, a Canadian is likely to shudder. Even Quebec sovereigntists, who almost won, have been heard to admit that the experience was terribly divisive. In a province where a bloke perhaps named Patrick O’Brien might actually be a unilingual Francophone, while un mec called Olivier Duchesneau might actually be an Anglophone, where origins and loyalties have been mixed up over centuries of living together, referendums split families and people right down the middle. “Never again” is the view shared by both sides now. We haven’t had a referendum since, and in a recent Quebec election, the national question was a non-issue. This may be of some reassurance to those in Britain who fear that a second referendum will lead to a third and a fourth, the neverendum nightmare. Canada suggests otherwise. It doesn’t mean our existential question is settled or will go away, any more than Brexit is likely go to away. It just means that no one wants to take a question like this to the people again. So the settled Canadian view is that referendums are truly terrible ways to decide existential questions. That’s what you have parliaments and politicians for. A lot of people on both sides of the Brexit debate in Britain might now be inclined to wearily agree. But that is no longer the issue. The question now is what to do when a Parliament is so divided that there is no longer a majority for any course of action. Referendums may be a near-death experience, but what’s the alternative when politicians can’t get a deal through the legislature? Do you then go back to the people one more time? Now that Prime Minister Theresa May’s deal has failed in Parliament, we enter, as she said before the vote, “uncharted territory’”. She has come out against a referendum herself, but she might find that the only way she can cling to office would be to gamble on one in which her deal was the first option on the ballot paper, exit without a deal the second, while the third would be remain. If her deal squeaked home, she could then take it back to the House of Commons and if approved, as would be likely, she could end her premiership by implementing it. If the people vote for the other alternatives, she is through. Labour Party leader Jeremy Corbyn opposes a referendum. The party wants an election, because it thinks it can win despite two years of hedging on the fundamental question. Strategic ambiguity is sometimes the only game an opposition can play, but this isn’t one of those times. The election would be, in effect, a referendum on Brexit and on the botched process which politicians must take the blame for. If Mr Corbyn thinks he can win by waffling or changing the subject to social justice, he may be in for a shock. A referendum, in other words, won’t happen because millions of people are campaigning for it to happen. It will happen if Mrs May changes her mind and bets her premiership on winning one; and if Mr Corbyn concludes he can’t get an election but hopes a referendum defeat for Mrs May will hasten the day he becomes prime minister. While we wait to see what these tarnished figures decide to do in their moment of extremity, the larger question remains: what is the damage that referendums inflict, long term, to confidence in representative government? The pessimistic view is that referendums weaken parliamentary institutions and the legitimacy of representation itself. The more optimistic view is that referendums are a necessary incursion of popular, direct democracy when representative institutions fail to do their jobs. My own, relatively optimistic view, is that the Brexit experience has given everyone who cares about democracy a crash-course on the limitations of both representative and direct democracy. In so doing, it should make us all a little wiser about what ought to be subjected to referendums and what must be properly left to our representatives. The recourse to referendums is the trap you fall into when party discipline decays and parliamentary institutions lose their credibility with the public. All of us need to rediscover what our representatives are for: to study the questions we are too busy to study ourselves and to deliberate on them, in committees and in the legislature, while consulting with us, whenever they can, about what is right for the country. We now know when referendums are truly necessary: when representative government is unable to resolve a question and when an election is unlikely to resolve it either. The “uncharted territory” that Britain now enters after this week’s failed parliamentary vote may be such an occasion. The larger lesson is that the legitimacy and effectiveness of democratic institutions is always a work in progress. Democracy is the place where we learn, painfully, what works and what doesn’t about governing ourselves. The history of British democracy is one long, painfully learned lesson about exercising and controlling power. Brexit is not so much exposing the weaknesses of democracy as pointing out, once again, how democracy should operate. Democracy then re-enforces these lessons with rewards and punishments. A prime minister who called a referendum because he had failed to unify his party on Europe deserves to lose power and did. A prime minister who negotiates a deal she can’t sell to her own people won’t hold power long. An opposition leader who fudges national questions in order to hold his coalition together deserves to lose, and might just do so. The point is that Brexit is a nightmare, but it is also a lesson—bracing, unnerving, even liberating—in what democracy is and must be. 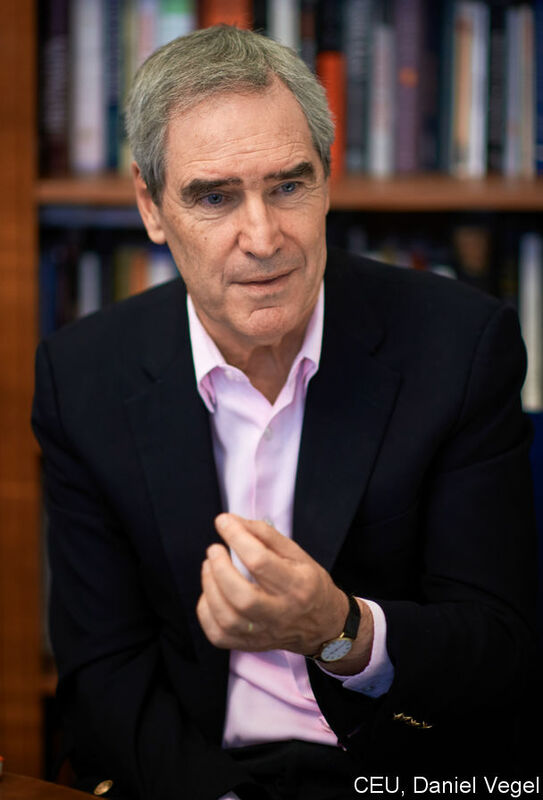 Michael Ignatieff is a former Canadian politician, political writer and currently the president of Central European University in Budapest. Previous PostPrevious Could state-guided faith be a trend of the future?